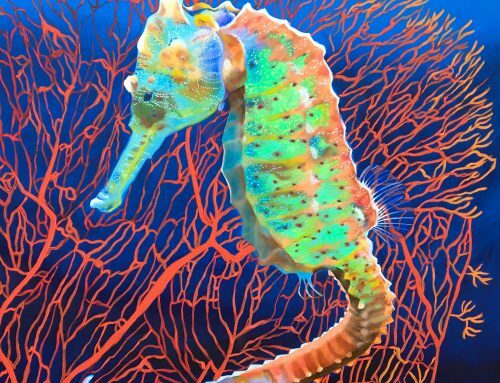 There is a seahorse species with large eyes and an abundance of pointed protrusions for protection. 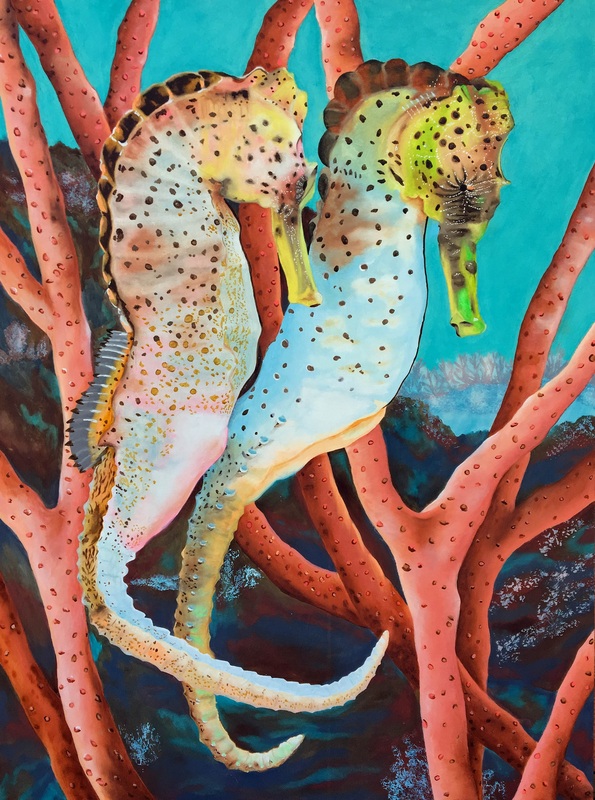 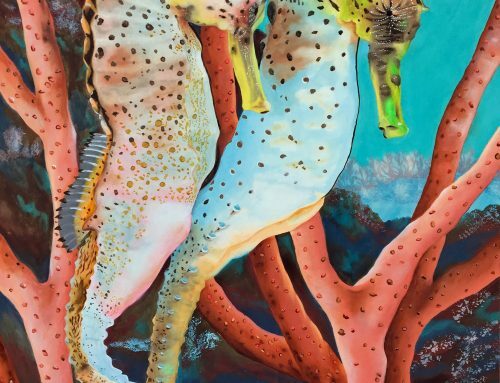 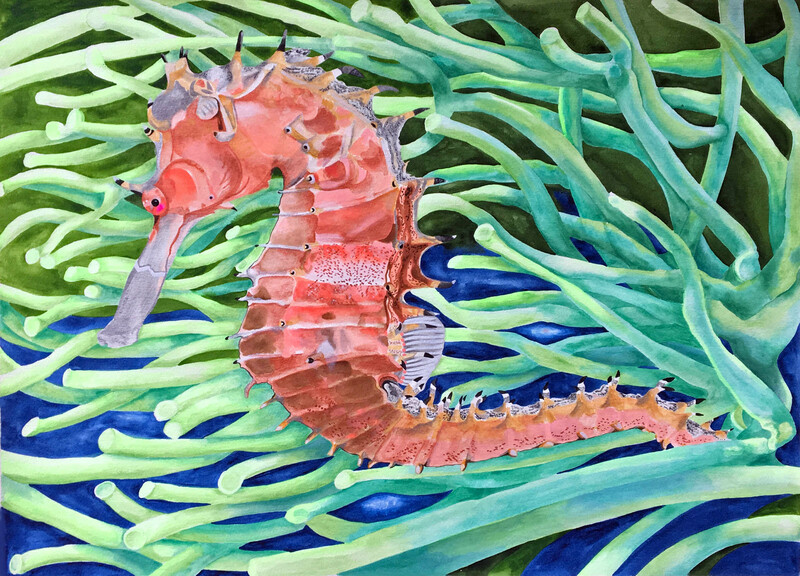 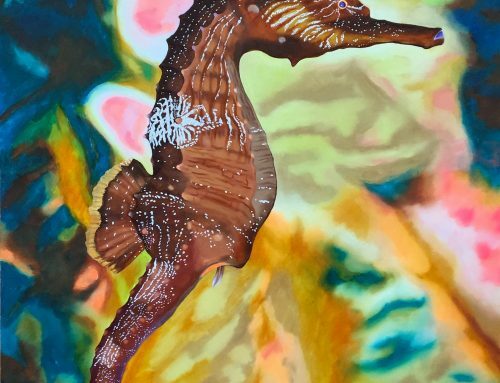 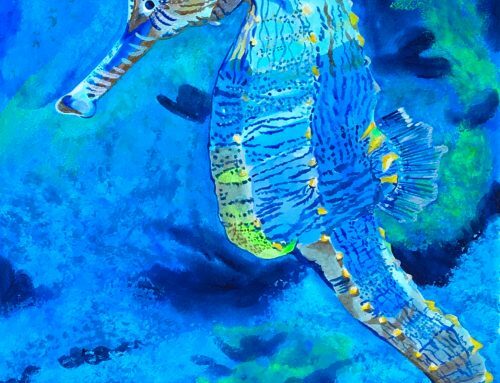 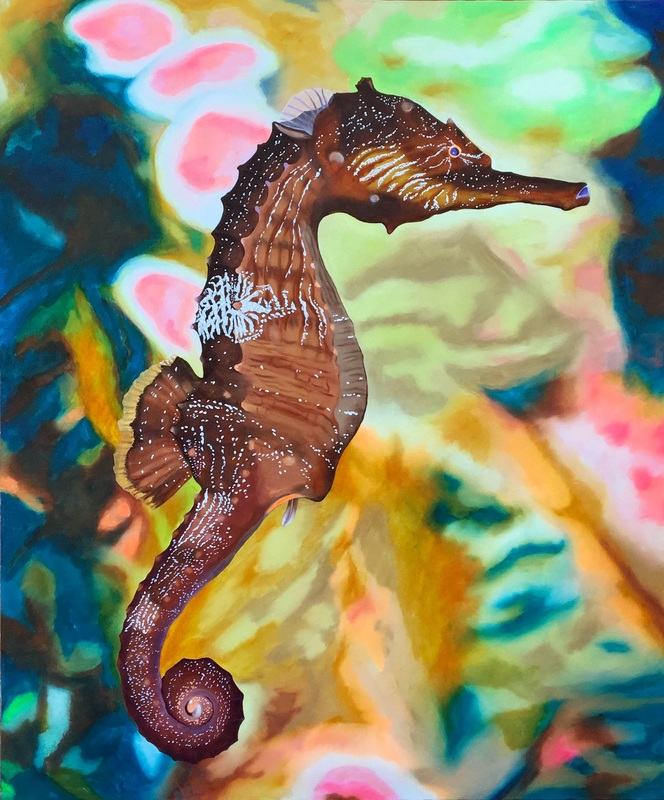 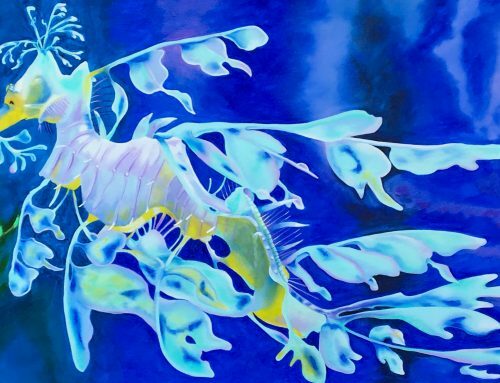 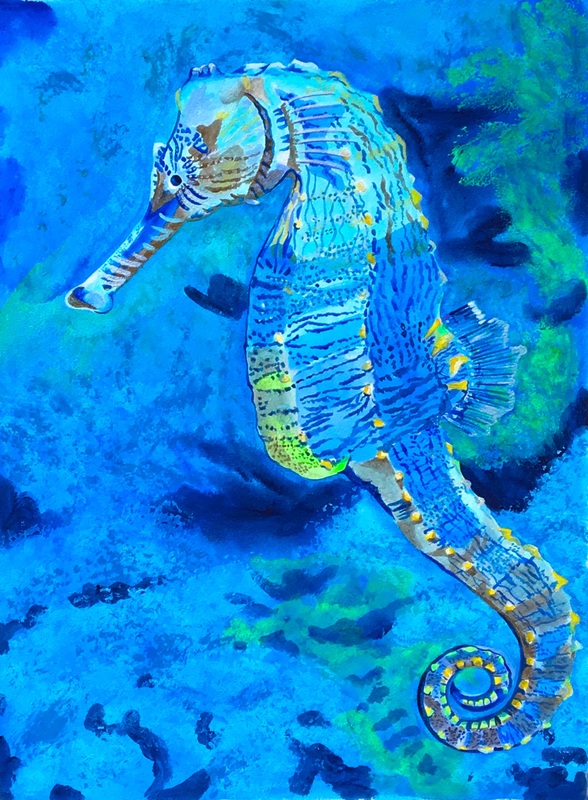 Life in the sea for a seahorse is like life on land for people, with the need for predator protection and watchful observation. 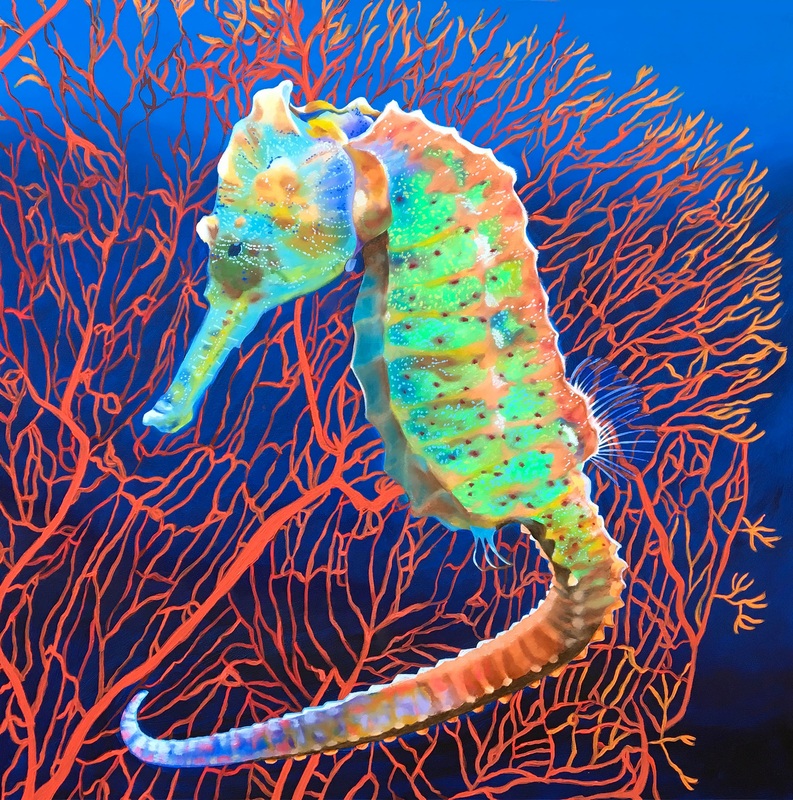 This little pink queen is well-equipped with extra big eyes that can move in different directions simultaneously, and appears to be a mighty contender for ruling and defending her coral territory.